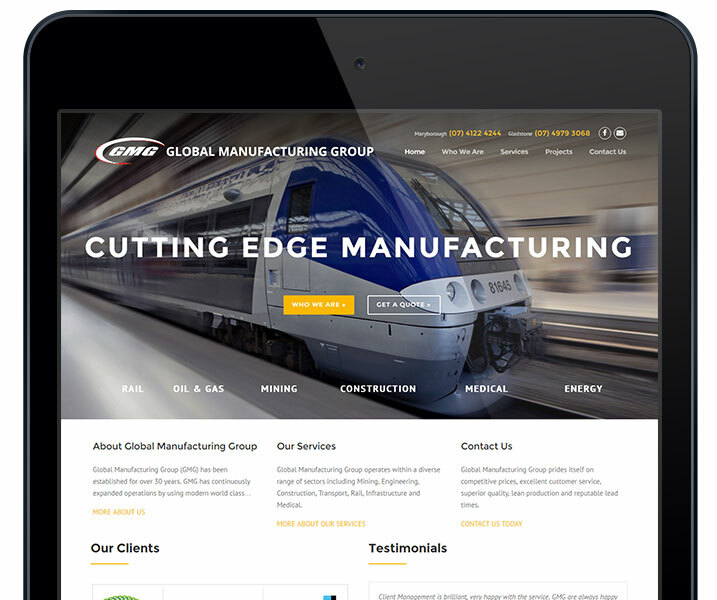 Global Manufacturing Group approached Jen Mulligan Design to give their website a face lift and help make them look more professional online. 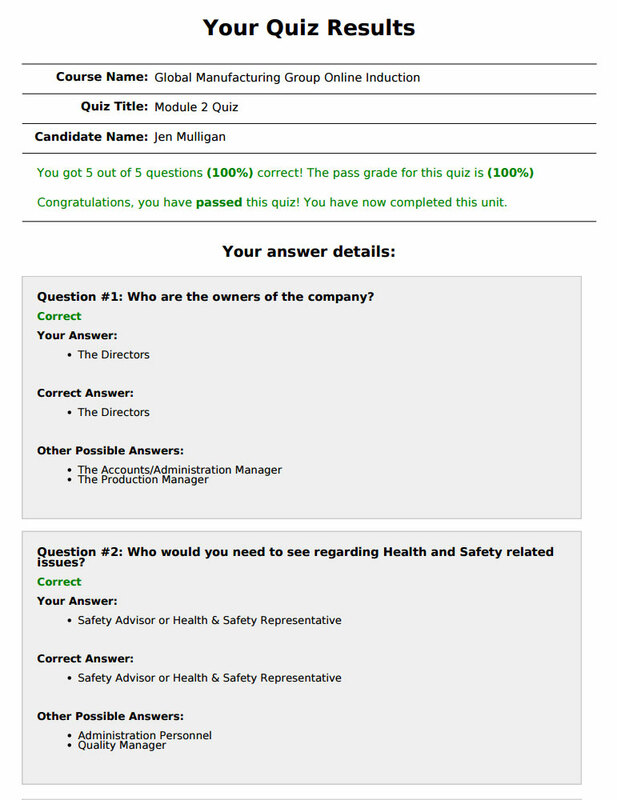 In addition to this, GMG wanted to incorporate an online induction portal into their website to streamline their recruiting process. 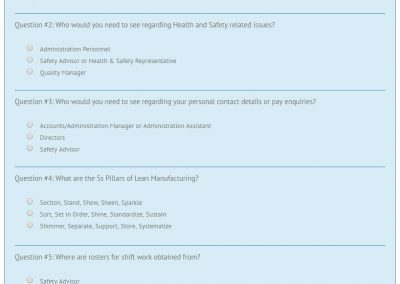 Jen worked closely with a number of team members from GMG to transform their tired, 90’s style website into a professional promotional & recruitment tool showcasing their services, outlining important information about the company and streamlining their induction procedures. 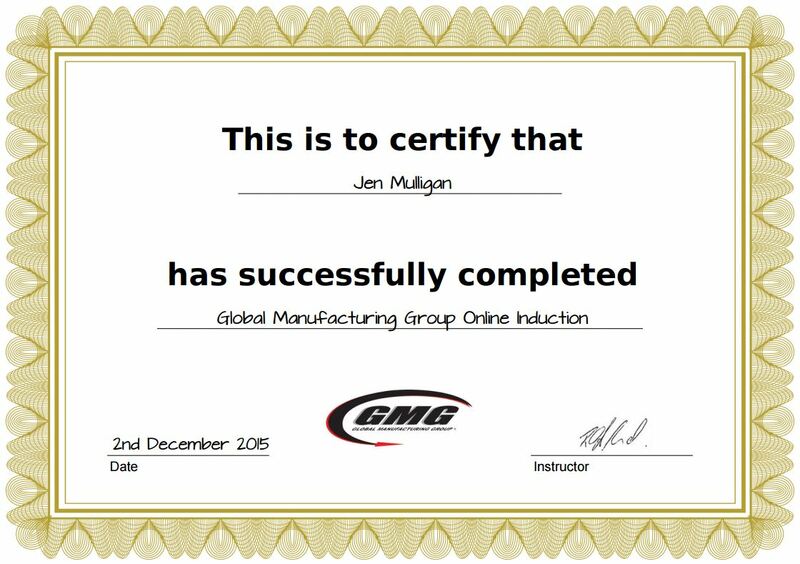 Global Manufacturing Group also takes advantage of Jen Mulligan Design’s ongoing Website Maintenance plan which takes the stress out of managing a website and includes a monthly traffic & maintenance report so you know exactly what is happening with your website. 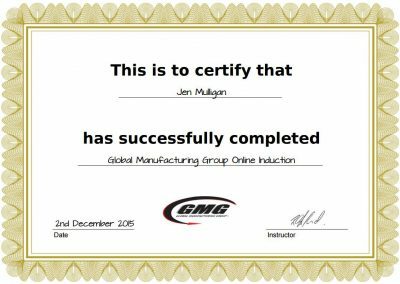 The Global Manufacturing Group website also incorporates an online induction course for new employees starting at the company. 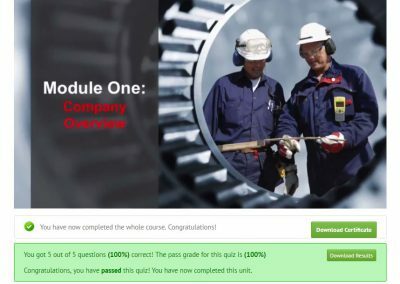 The course includes custom videos (designed by Jen Mulligan Design) and quizzes to ensure all new recruits learn what is required for their new role at the company. 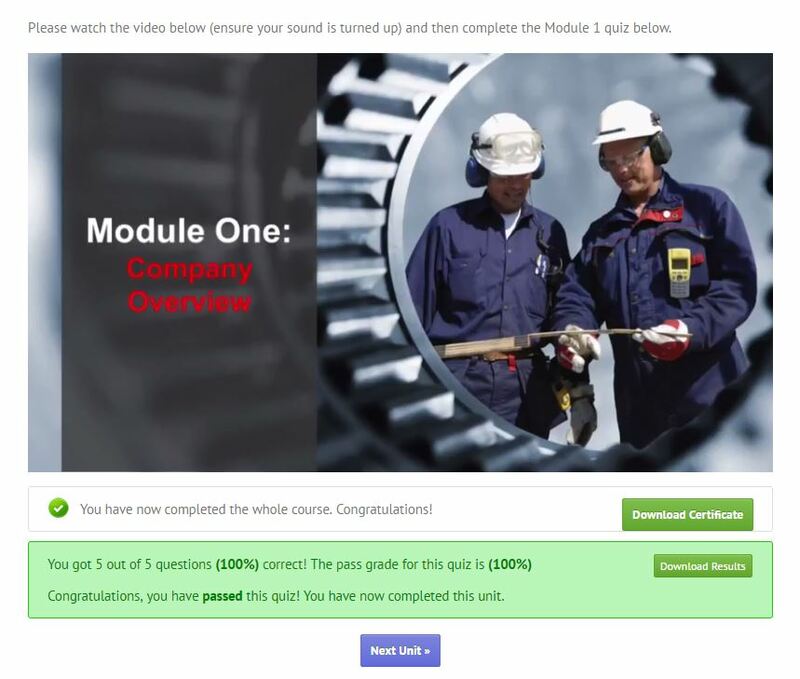 This online course delivery system frees up time for GMG staff and allows new recruits to complete the training in their own time and at their own pace. 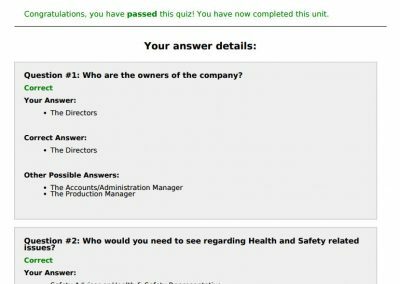 New recruits who have successfully completed the online training are even given a customised PDF certificate so GMG have the required documentation on file on who has completed the complusory training. 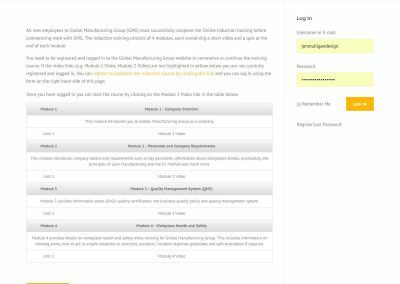 Prior to the redesign, Global Manufacturing Group’s website was looking a little worse for wear. 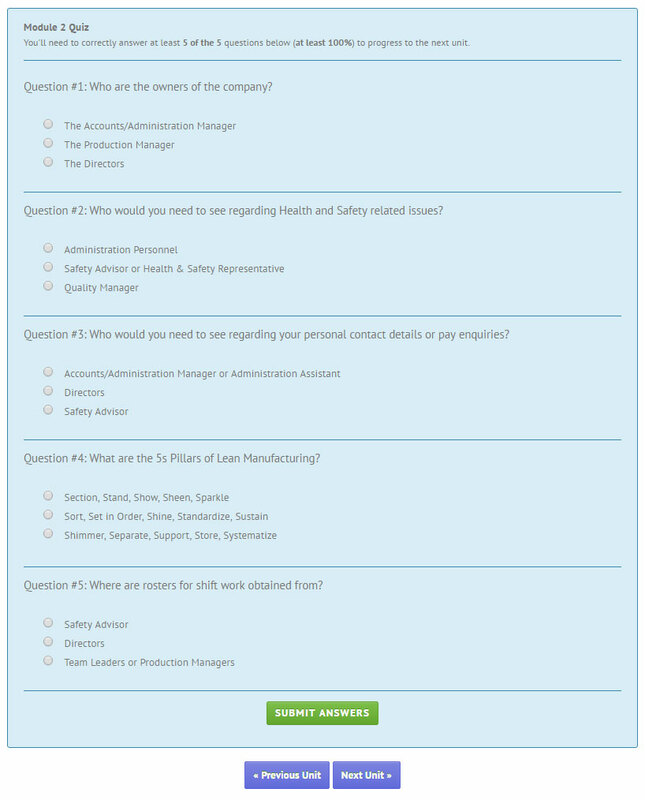 Information and photos were out of date or missing altogether and the layout certainly didn’t match Global Manufacturing Group’s professional nature. 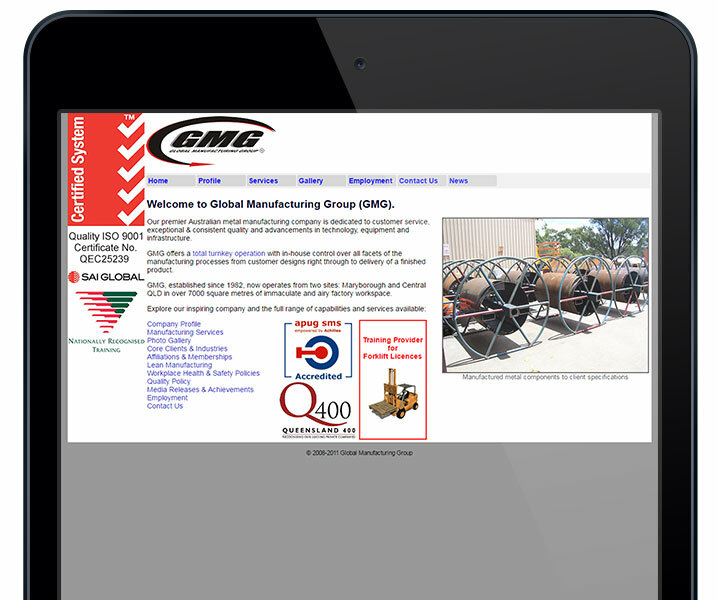 After the website design makeover, GMG have a professionally designed website that matches their corporate business nature and level of professionalism. The website is also optimised to display on mobiles, tablets & desktops to ensure all visitors can easily navigate through the website with ease no matter what device they are using. 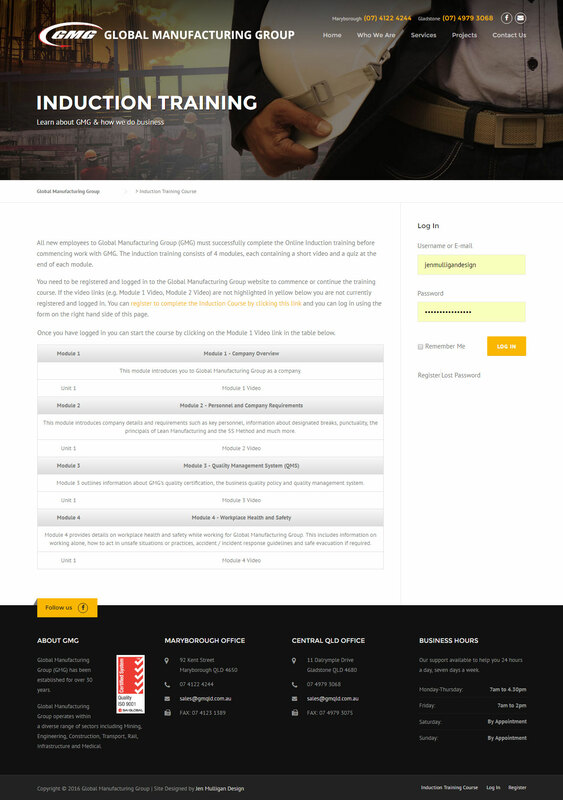 Slide the vertical bar on the image to see the website transformation! NEED AN EXPERT TO HELP MAKE YOU & YOUR BUSINESS STAND OUT FROM THE CROWD? Get in touch and let’s see how we can work together to whip your print & promotional documents into something that you and your business can be proud of!